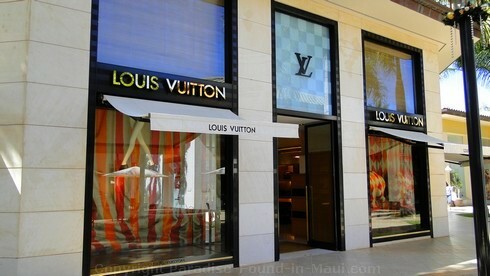 Wailea, Maui: THE Place to Be if You're Looking for Upscale Elegance! 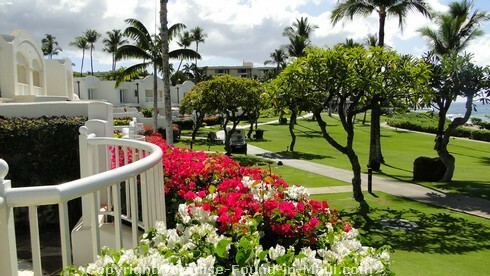 When I think of Wailea I think of luxury and indulgence. If I could afford to stay ANYWHERE for my Maui, Hi vacation, then I'd be very interested in what this beautiful area has to offer. 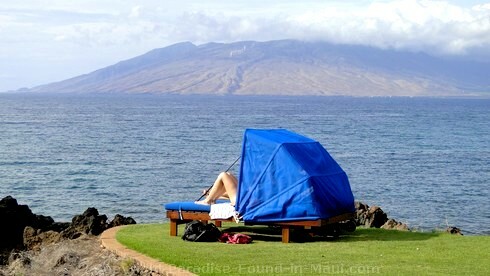 Among the many things I like about this 1500 acre master planned resort locale is it's superb location in South Maui. If you like to explore the island as I do, you'll be able to get pretty much anywhere without spending too much time in your car, unlike the West Maui resort areas of Kapalua and Kaanapali. If money is no object, then renting a luxury villa or staying in one of the 5-star resorts is for you! 5-star resorts include The Fairmont Kea Lani Maui, and the Four Seasons Resort Maui. The Grand Wailea Resort Maui is right up there in the ratings too at four-and-a-half stars. Despite the fact that it's just shy of 5 stars, the Grand was my favourite of the resorts here. I love the over-the top elegance of the property and grounds, plus, it's located on "America's Best Beach!" AND, as if that's not enough, it contains the largest and most extravagant spa in the entire state of Hawaii... oooo.... just imagine the pampering you could get at a place like this! 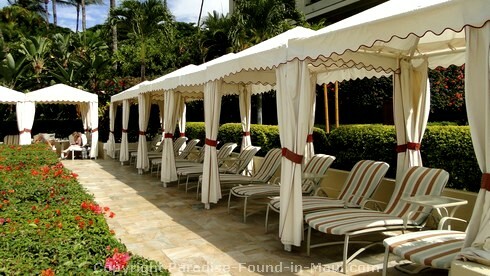 You'll also find what just might be the best pool in Maui at the Grand Wailea Hotel! If you prefer a more understated elegance, you should see the pristine white Fairmont Kea Lani - this 4.5 star resort also looks absolutely stunning! Another great option for accommodations is the 4-star Marriott. If you would prefer not to spend the sums of money required for the above hotels, then you can check into some of the less expensive condominium properties scattered throughout the area. These are mostly 3-star places, such as The Palms and the Diamond Resort and Spa. 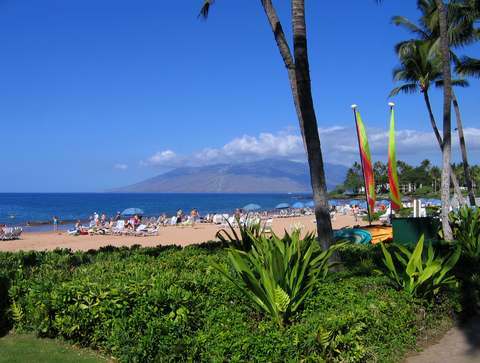 You'll still pay more than you would in less expensive areas like Kihei, but if this is where you want to be, then that could be the solution for you. There are 5 crescent-shaped white sand beaches here, all conveniently connected via a 1.5 mile walkway. 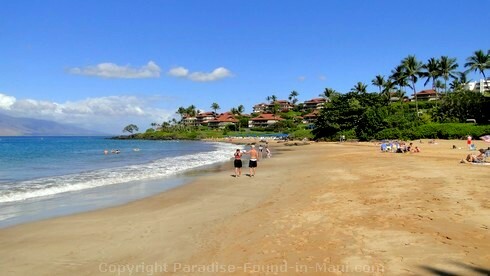 You can take your pick of Keawakapu Beach, Mokapu Beach Park, Polo Beach, Ulua Beach Park and, last but not least, Wailea Beach. These beaches all offer the gorgeous ocean views that we've come to expect from Maui, with the added bonus of being able to see the nearby islands of Molokini and Kaho'olawe. If you don't want to stray too far from your hotel, you'll find lots of things to do within the resort community itself. The resort's golf club offers 3 full length courses: The Gold, Blue or Emerald. There is also great shopping available at the Shops of Wailea, 5 world-class spas, tennis, and plenty of restaurants to choose from! All in all, I think this would be a great place to stay: great resorts, sublime beaches, and lots to see and do! So... Have You Been to Wailea? Do you have any special stories about your time here? Is there a resort, hotel, condo or restaurant that you'd like to review for us? Did you find some great spots that others won't want to miss out on? Do tell! *File size for pictures should be a maximum of 100 KB. Maximum width for pictures is 480 pixels. Click on the links below to see the stories that other visitors have shared about Wailea.